Port-of-Spain, Trinidad, May 29, 2018: “Pay attention to the ideas that at are laughed at. If you’re not hearing laughter from your teammates, you’re not pushing hard enough.” This was among the sage advice shared by best-selling author and globally recognised authority on Disruptive Innovation, Luke Williams, at the Distinguished Leadership and Innovation Conference (DLIC), which was hosted by the Arthur Lok Jack Global School of Business on May 24. 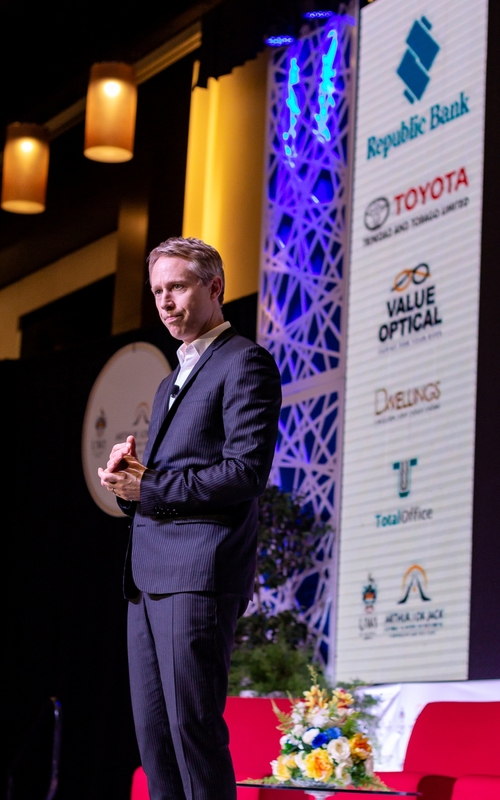 As the Conference’s feature speaker, Williams lead a contingent of local and regional business leaders through interactive discussions which covered key areas of disruptive leadership and disruptive thinking. Special guest speaker and retired CEO of the Massy Group, Jesus Pazos, also delivered a talk on disruptive leadership, focusing on organisational transformation and thriving on chaos. As Williams’ advice would suggest, the concept of Disruptive Innovation calls for exploring extremes in thought, creativity and the limits of what is possible. The result is the kind of thinking that challenges the status quo and changes lives, industries and economies. It’s also the kind of thinking behind household names, like Apple and Uber, which started out as disruptive underdogs of established industries. 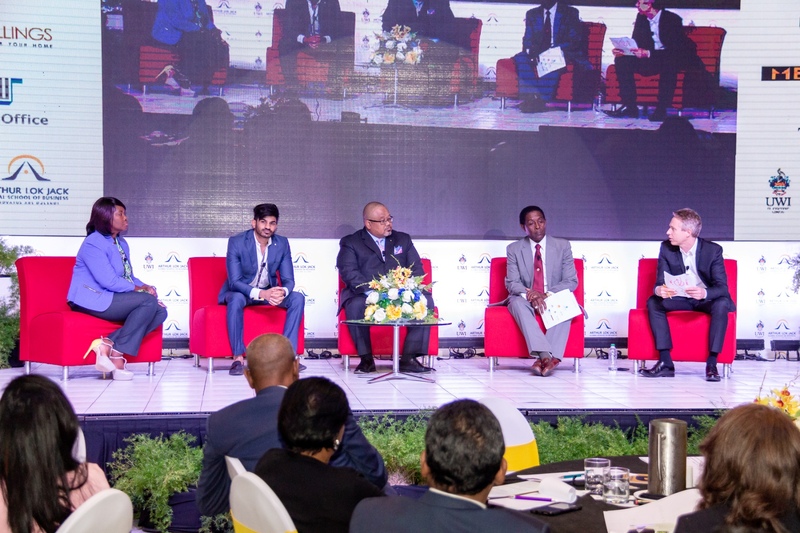 Disruptive Innovation is also what many of the local and regional leaders who attended the Conference are hoping will revive the stagnating economies of our region, a topic that featured heavily in the panel discussion that followed the Conference’s feature presentations. The panel consisted of several local business leaders, including Derwin Howell, Executive Director of Republic Bank Limited; Gillian Matthews, CFO of Unicomer (Trinidad); Eesa Mohammed, Director and VP Marketing, S.M. Jaleel & Company and Langston Roach, Executive Chairman of Langston Roach Industries. Above all else, the DLIC provided participants with the invaluable opportunity to learn, network and be inspired by their peers from a wide range of industries and across the region. It is hoped that participants will return to their organisations prepared to challenge, provoke and disrupt the status quo.